Theodore Gericault was banned from Musee Napoleon (AKA The Louvre) for assaulting a fellow art student. 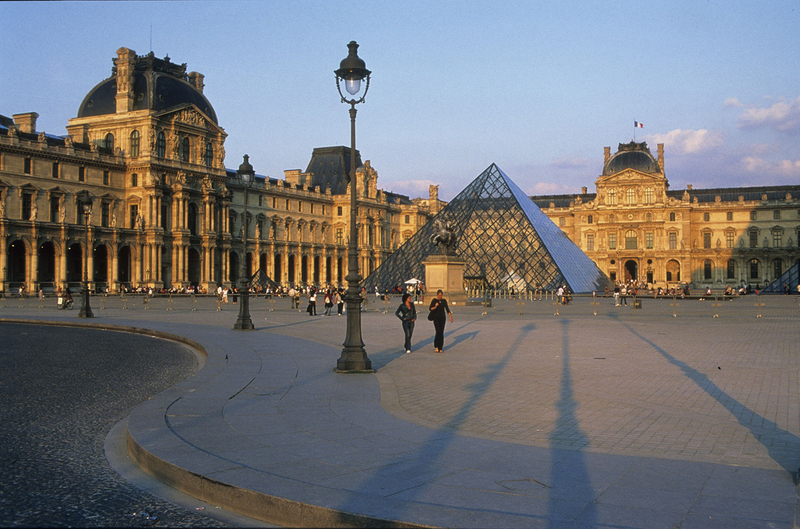 The Louvre is the biggest, baddest museum in the whole world. It was originally the site of King Philip Augustus' fortress in the 12th-century. King Francis I built his palace in 1546 and every subsequent monarch added to it until King Louis XIV moved to Versailles in 1678. The museum holds, in trust, 678 pieces seized by the Nazis in order to keep them in appropriate storage conditions until they can be restituted to their rightful owners. If you spend just 30 seconds on each of the approximately 35,000 items on display at any given time it would take you 105,000 seconds/1750 minutes/29 hours to see everything. And that doesn't include walking the 652,300 square feet of exhibition space! Receives approximately 10 million visitors a year. To avoid those 10 million visitors try one of the two not-so-secret secret entrances: Porte des Lions and the Palais Royal-Musée du Louvre and Louvre-Rivoli Métro stations. The Porte des Lions entrance is on quai des Tuileries between Pont Royal and Pont du Carrousel, you'll see large green lions on each side of the entrance. When I was here recently, the cashier booths were closed and the machines only took card so beware of that, but an extra bonus to entering through here is that you are dropped off in the Denon Wing where the Mona Lisa is. Your other option is to take the Métro to Palais Royal/Rivoli and go through the Galerie du Carrousel shopping mall. Everyone says to avoid the main entrance at the large pyramid like the plague. While visiting in late May I was there a half-hour after they opened and waited maybe twenty minutes in the non-ticket-holder line. While you’re waiting, enjoy the view! Your ticket does last for the whole day so if you come early in the morning, leave when it gets too crowded and come back at night! Most of the crowds should be gone by then. Check out the full Wikipedia article about Louvre.